If you are looking for stashbuster projects you can crochet with your leftover medium weight yarn, then this post is for you! I recently ordered a few balls of Premier Yarns Sweet Roll from our Canadian Mary Maxim Store online and I am in love with it. The colors are vibrant and the yarn is firm but so soft. It is a pleasure to crochet with this yarn and although it feels soft to the touch it has fantastic stitch definition. After making my main projects (hats patterns coming soon! ), I had a bit left over from two of the balls so I started playing around with the baby bean stitch. 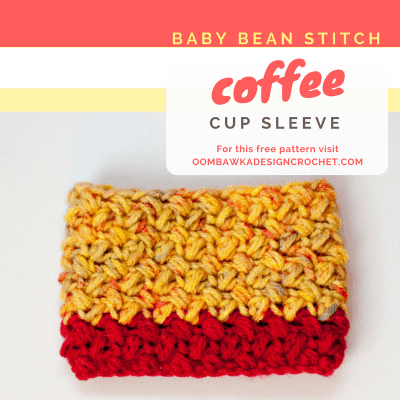 Have you tried the baby bean stitch yet? I love the finished woven look and the simple texture this easy to crochet stitch creates. I have created 3 quick projects for you to try using this stitch. This is the first of the three designs. I will add the links to the others as soon as they are all posted on the blog. The baby bean stitch is created using single crochet cluster stitches. The stitch pattern is simple and easy to remember. 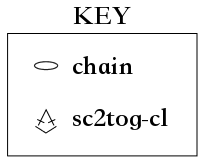 Please be sure to read the Baby Bean Stitch notes above in Special Stitches because the sc2tog cluster is not worked as you would expect it to be worked! There is one extra yarn over in there to make it easy to crochet! Please see the Special Stitches Section. This project is worked back-and-forth in rows before being seamed using a whipstitch, into the final coffee cup cozy. If you are using a yarn cake in multiple colors I recommend leaving a yarn tail at the beginning to let you seam both ends in the same color of yarn as the color which you crocheted in. For example for my sample I left a 4 inch tail before beginning so I could seam my first 2 rows using red and then the remainder was seamed using yellow (the tail I left at the end of the project). R3-R11: Rep R2. Finish off leaving a 5 inch tail of yarn. 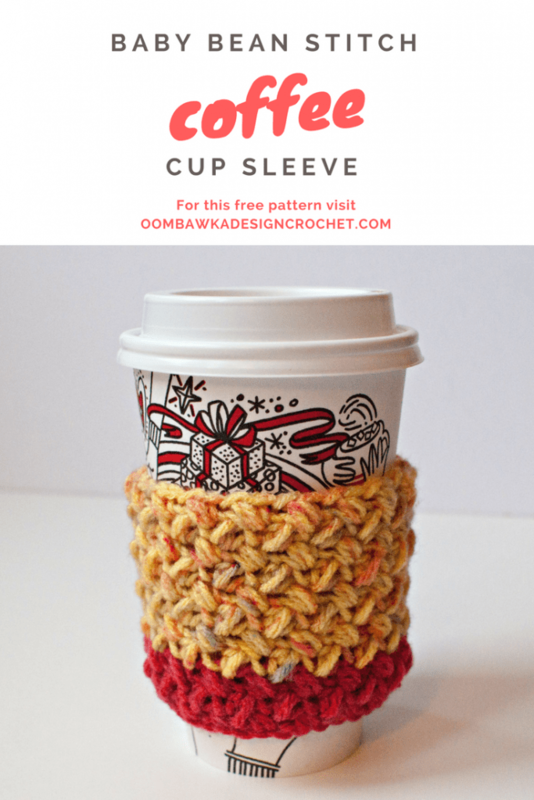 Using your yarn tail, whip stitch the two side edges of the cup cozy together. Finish off and weave in ends. Hi Eve, I’m wondering if perhaps you have skipped an extra chain here and there on the first row? If you chain 37 stitches and beg in the 3rd ch from the hook and work your first stitch (the cluster is worked into only one chain) then sk the next ch you would have 36 divided by 2 for 18 clusters at the end of the row. The sc2tog cluster is a special stitch and worked a bit differently from the decrease stitch. For this pattern it is worked into only one stitch. Hi Rhondda. I like the design so I started trying this pattern. After finishing row 1, I wonder why I only have 12 sc2tog instead of 18. I repeated the process to make sure I did the whole row correctly. I still got 12. I really wonder where I could have gone wrong?